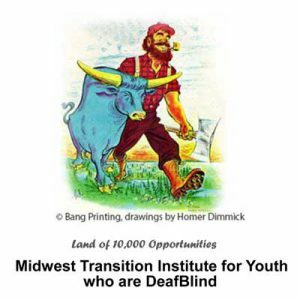 Save the date for the 2019 Midwest Deafblind Transition Institute. Registration will open on 2/18/19 and close on 4/19/19. An online deafblind intervener training program is now available through Utah State University (USU). 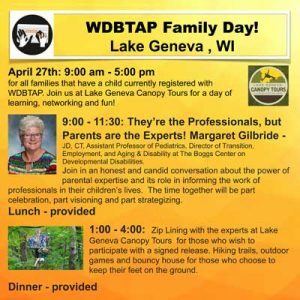 WDBTAP is extending the opportunity to take this coursework to selected professionals, paraprofessionals and parents/guardians in Wisconsin. Applicants chosen for the training will be reimbursed for the noncredit option fees upon successful completion of the course with a grade of ‘C’ or better. To be eligible for this program, please complete the application below and return it to Jolene Gruber, Grant Coordinator, at jolene.gruber@wesp-dhh.wi.gov. 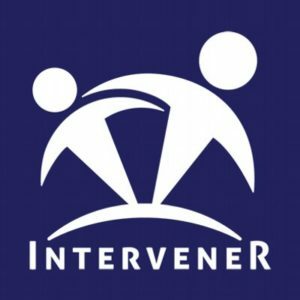 Register Now For Online Deafblind Intervener Courses.